Stuffed peppers was one of my favorite meals, when I was younger. 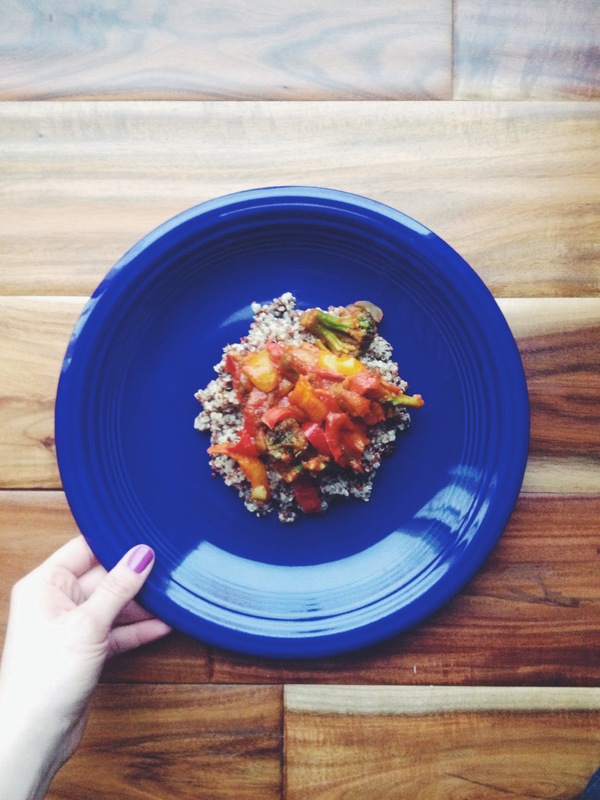 Recently, Andy went on a business trip to Montana, so….bell pepper meals, galore. I didn’t make actual stuffed peppers. I made them inside-out! If you want a quick easy version of stuffed peppers, read along. 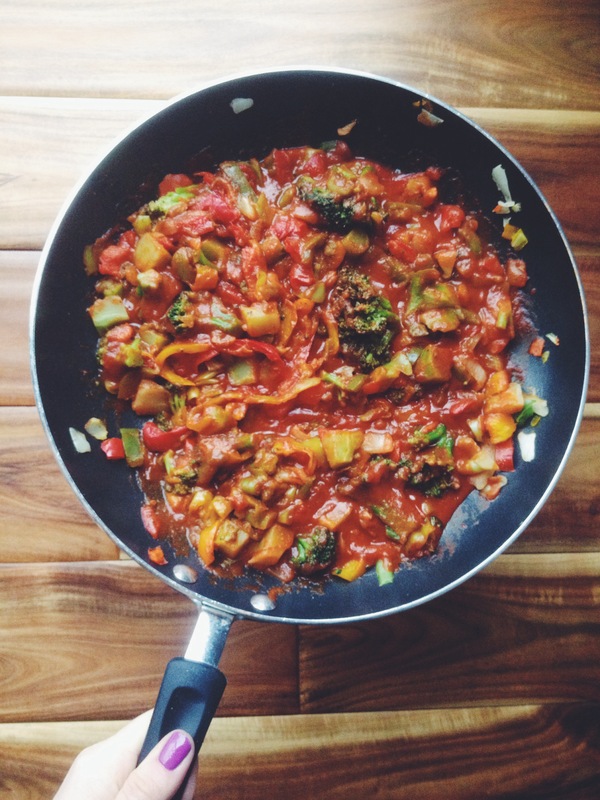 Saute your vegetables in butter or oil. Separately cook turkey sausage. 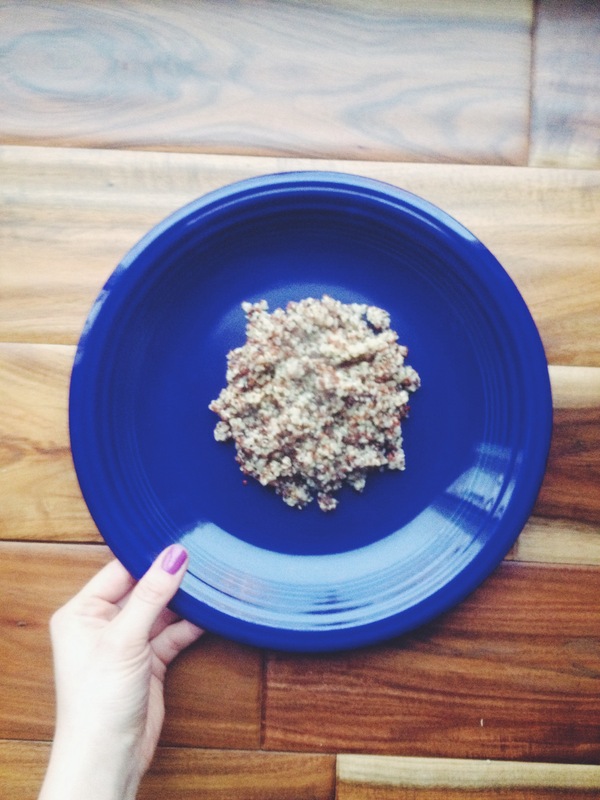 Separately prepare quinoa, with a little salt added. (or rice! I just prefer quinoa). Add the cooked sausage, to the peppers and onion (I also used broccoli). Add oregano and basil. Pour in your spaghetti sauce. Simmer low heat, until it is hot and ready to serve. 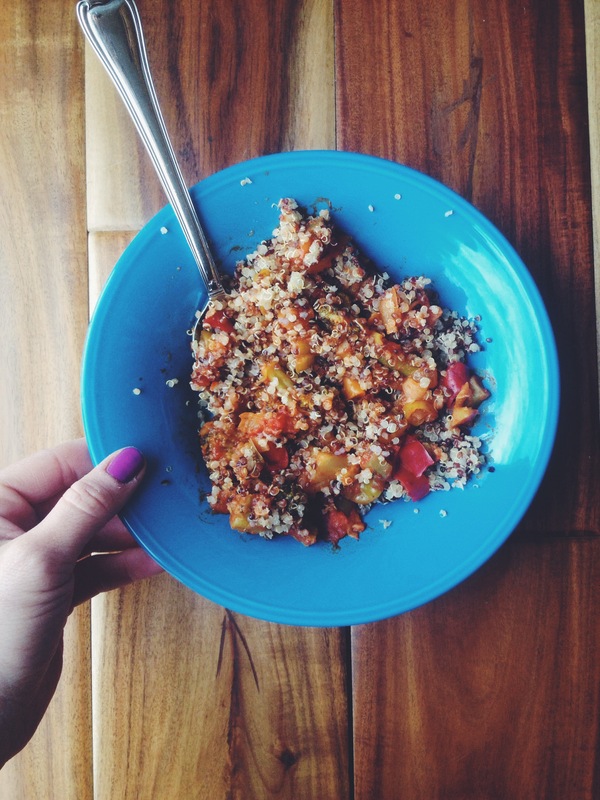 Lay a bed of quinoa in a bowl. Top with the sauce mixture. It’s really good with parmesan sprinkled on top. I like to mix it all up in a bowl. Melting mozzarella on top is also highly encouraged.